Improving the delivery of behavioral health services to vulnerable, under-served and ​high risk populations. ​In early 2003, Baltimore Mental Health Systems, Inc, the local mental health authority for Baltimore City, convened a number of leaders in the academic community to address the issues related to workforce development in community behavioral health , at all levels and across disciplines, and the gap between research findings, policy and practice. Out of these discussions, a non-profit corporation, named the Behavioral Health Leadership Institute (BHLI) was formed. The Board of Directors is comprised of members from several academic institutions in the field as well as individuals who are active in the fields of community mental health or substance use disorders. Disciplines represented include physicians, nurse practitioners, law, social work and public health. The Institute concept is a unique approach to improving the quality of care. It offers a model that integrates service delivery, research, work force development, education and public policy with program implementation. Homeless, occasionally incarcerated and about 24 hours after his last hit of heroin, Norman Jones walked into the big white van parked just steps from the door to Baltimore City’s jail looking for an exit from his way of life. “Enough is enough,” said the 56-year-old Jones as he waited for a prescription for buprenorphine to ease withdrawal and long-term cravings. 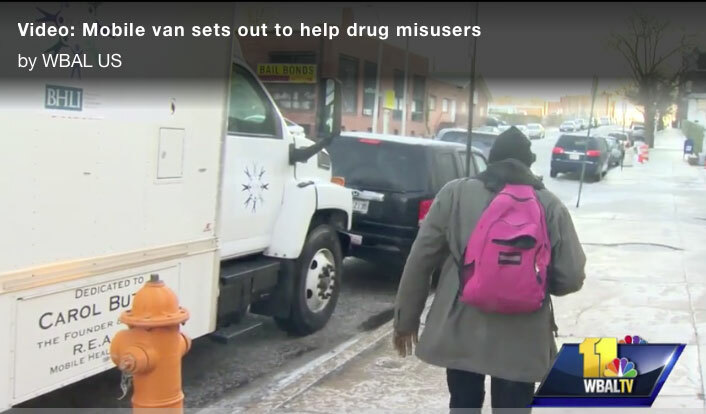 The van, a mobile treatment facility launched two months ago, lures people leaving the Baltimore Central Booking and Intake Center with a sign advertising its services. It is the city’s latest and perhaps most in-your-face option for people who circulate in and out of jail and prison, often for addiction-related crimes, but receive no treatment on the inside. Even though the opioid overdose crisis spurred Gov. Larry Hogan to declare a state of emergency in Maryland, dedicating more funding for treatment, the jail population remains largely overlooked, advocates say. About 65 to 70 percent of those who are arrested and jailed in Baltimore have a substance-use problem, from alcohol to heroin. ​The opioid epidemic is increasingly killing black Americans. Baltimore is ground zero. The latest disaster in Baltimore’s deadly and worsening opioid epidemic was a small one: The addiction treatment van, now 13 years old, wouldn’t start. Opioid crisis continues unabated in Maryland and elsewhere. Here's a plan of action. BALTIMORE --Cracking down on the heroin and opioid crisis often means taking solutions to the streets. 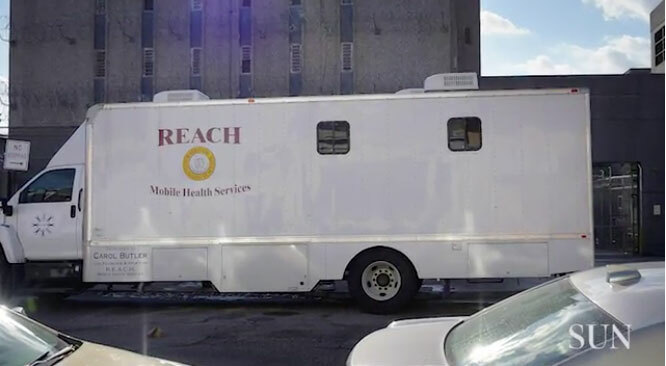 A mobile outreach van is parked outside the Baltimore City Detentions Center doing just that. Tory Gladden has been coming to P-Care for three weeks for help with his 20-year addiction to heroin. In and out of jail for drug crimes and recovery programs, he said he's tired of killing himself. "Sometimes, every day is a struggle, but, like I said, I'm not going to give up, you know. I love me, but if don't nobody love me, who will?" Gladden said. The program is funded through grants awarded to the Behavioral Health Leadership Institute.